It is that time of the year again when London celebrates the best in restaurant dining from across the UK. 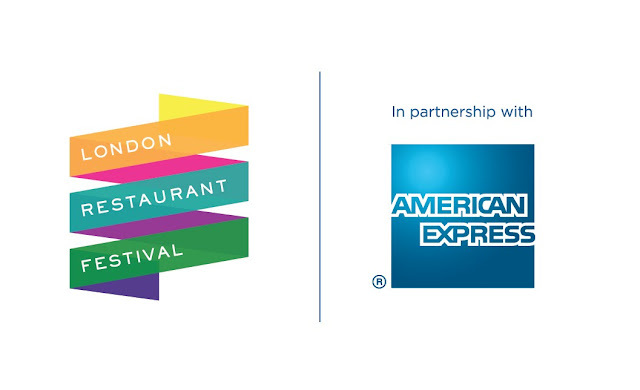 London Restaurant Festival 2012 in partnership with American Express (1 – 15 October), now in its fourth year, is a two-week celebration of the capital’s restaurants and food. Kitchen Influentials, an exclusive event for American Express Cardmembers, will bring together some of the country’s most renowned chefs with their protégés, family or friends for a one off lunch. The twenty chefs include Michel Roux, Bruno Loubet, Rowley Leigh and Mark Hix. The London Foodie is again delighted to be able to offer a fantastic opportunity to win 4 tickets to the American Express ‘Kitchen Influentials’ event at Bistrot Bruno Loubet (reviewed here) on 7th October at 12.30pm. Bruno Loubet will be reunited with his good friend Alastair Little to cook a one-off Sunday Lunch at the restaurant on 7th October. The chefs will prepare and serve a special collaborative menu for Sunday lunch. The prize is for 4 tickets to this lunch + £100 worth of drinks at the event = an overall prize value of around £450! To enter the competition to win a lunch for 4 people at Bistrot Bruno Loubet on 7th October 2012, simply leave a comment in this post stating your NAME and E-MAIL address as MrBloggs(at)gmail(dot)com by midday on Thursday, the 4th October 2012. To increase your chances of winning (every tweet/retweet will count as an additional entry - up to 1 tweet per follower), follow and tweet me on @thelondonfoodie for competition by midday on Thursday, the 4th October. If you do not use Twitter, I will also be publishing the winner's name here on Friday, the 5th October 2012. THE LUCKY WINNER OF THIS FANTASTIC COMPETITION IS ENTRANT 52 (NICKIE) WHO WAS RANDOMLY SELECTED BY RANDOM.ORG. CONGRATULATIONS NICKIE, THANK YOU FOR ENTERING THE COMPETITION, ENJOY YOUR PRIZE! As part of the service delivered to Cardmembers, American Express handpicks the very best in dining, arts and entertainment. From giving you a sneak peek behind the scenes to offering money can't buy experiences, American Express goes that extra mile to deliver inspiring and memorable events. For more information visit amex.co.uk/potential, or follow @AmexUK on Twitter. Oh darling I hope I win!! You know I love to eat. If I win, my birthday dinner is on me!!! This and the London Film Festival make my Autumn. Thanks for alerting me to the Festival being on! Amazing competition Luiz, I wanna win! Thank you so much for the chance to win this amazing opportunity. Oh wow, yes please I would love to win! Wow, I would so love to win this! Mmmm, getting hungry at the thought!! Would love to go! Fantastic prize, thanks for the competition - would love to win!